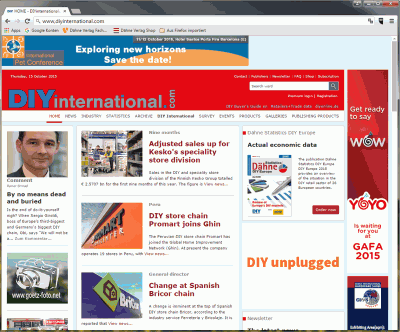 This trial offer is subject to a charge and is valid for 30 days for the magazine DIY International and includes a premium access to DIYinternational.com. If you contact the publisher within four weeks after receiving the password expressing your wish to discontinue the premium subscription offer (DIY International magazine and DIYinternational.com), the contract will be null and void. Otherwise we will deliver 4 issues of DIY International per year at the special subscription price and you retain your premium access to DIYinternational.com at the special offer price for magazine subscribers.